What’s in your pantry? 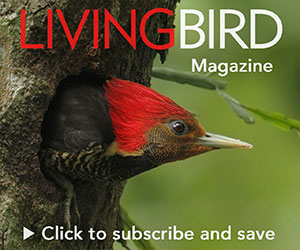 Try some of these bird-friendly staples. “Sustainability” is a powerful word in the food industry these days. A recent survey of millennial coffee consumers found that “sustainably sourced” is the top factor that would drive them to pay more for a cup of coffee. And a recent report published by The Lancet, a medical journal, identified sustainable food systems as the pathway to feeding a projected global human population of 10 billion people by 2050. Birds also stand to benefit from this burgeoning trend in sustainable food production. Here is a sampling of foods and beverages that—through sustainable growing or business operations—are improving habitat for people and birds on Earth. Sustainable coffee featured here: McDonalds Coffee, Nespresso, and Smithsonian Migratory Bird Center-certified Bird-Friendly Birds and Beans coffee. The Nespresso single-serving coffee packs are made of aluminum and returnable to the manufacturer for recycling. More than 40 species of Neotropical migratory songbirds (such as warblers, tanagers, and orioles) overwinter on coffee farms in Central and South America (see In Colombia, Shade-Grown Coffee Sustains Songbirds and People Alike). Bird Friendly–certified coffee, with verification by scientists from the Smithsonian Migratory Bird Center, is the gold standard for beans that come from coffee farms offering birds rich forest habitat. Massachusetts roaster Birds & Beans is the only American coffee brand carrying 100 percent Bird Friendly–certified beans. Other shade-grown coffees can benefit birds, too (see Making Sense of Coffee Labels). Nespresso sources its coffee through its AAA Sustainable Quality Program, which was developed with the Rainforest Alliance certification. McDonald’s also announced a commitment to serve 100 percent sustainably sourced coffee by 2020, with 100 percent of its espresso beans in the U.S. and Canada coming from Rainforest Alliance–certified farms. Bird-friendly maple syrups from the Bird-Friendly Maple Project and Cornell Maple Program. The Cornell Lab of Ornithology’s partnership with the Cornell Maple Program was inspired in part by Audubon Vermont’s Bird-Friendly Maple Project, which works with more than 30 maple syrup producers in the Green Mountain State. The project seal, which features a Scarlet Tanager, is available to producers with sugar bushes that contain a variety of trees and shrubs that create nesting and foraging habitat for bird species of the northern forests, including Ovenbird, Wood Thrush, and Black-throated Blue Warbler. Read more about bird-friendly maple syrup production in Turning Maple Syrup Forests Into Bird-Friendly Habitat. Organic Valley bird-friendly dairy products. Bird-frendly beef products from Corner Post Meats and Wild Sky Beef. Bird surveys conducted on Organic Valley dairy farms in the Midwest and East found more than 50 breeding bird species in summer. For example, American Redstarts and Baltimore Orioles were found on an Organic Valley farm in Minnesota, and Black-and-white, Blackburnian, and Chestnut-sided Warblers were found on an Organic Valley farm in Vermont. Grassland birds, such as meadowlarks and Bobolinks, can benefit from grassy cow pastures on dairy farms, too. Grasslands can be managed for grazing cattle and provide crucial habitat for birds such as prairie-chickens and sage-grouse. Audubon’s Conservation Ranching Program has developed a bird-friendly certification for beef. Participating ranches, like Corner Post Meats in Colorado, develop habitat management plans and adopt standards for grazing open grassland, animal health, and environmental sustainability. In Montana, the American Prairie Reserve is buying beef at a premium from ranchers who adopt wildlife-friendly ranching practices—see Recreating a Big Space Where Buffalo Can Roam (and Burrowing Owls, Too). The American Prairie Reserve’s beef is sold under the Wild Sky label. Bird-friendly rice from IBIS Rice and Rue & Forsman Rice. Rice farms can offer excellent bird habitat. In California, the Rue & Forsman Ranch has joined the “Bird Returns” program, operated by the Nature Conservancy and the Cornell Lab of Ornithology’s eBird program (see Moneyball for Shorebirds), that encourages rice farmers to flood their fields to create temporary wetlands for migrating shorebirds and waterfowl. On the other side of the globe, IBIS Rice offers Cambodian rice farmers a premium in exchange for a pledge to stop poaching and habitat destruction for the critically endangered Giant Ibis, Cambodia’s national bird. Bird-friendly beer from the Western Rivers Brewer’s Council. Dandelion Chocolate and Hummingbird Chocolate are both bird-friendly. With the motto “beer brings people together,” Arizona Audubon organized more than 20 breweries in the Western Rivers Brewers’ Council to advocate for conservation policies that protect the Colorado River watershed. Participating breweries issued special-release beers that highlight local bird species like Yellow-billed Cuckoo and Ridgway’s Rail. 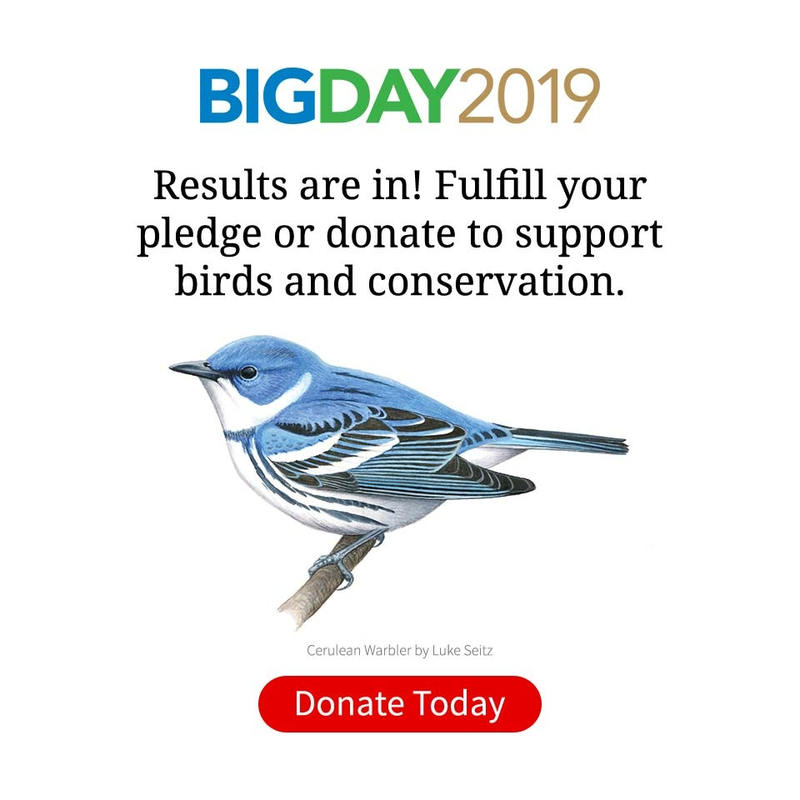 Audubon just launched a similar initiative with more than a dozen breweries in Delaware, New Jersey, and New York for the Delaware River Watershed, home to more than 400 bird species, including Sanderling and Red Knot. The Reserva Privada Zorzal is a first-of-its-kind preserve for wintering Bicknell’s Thrushes that also supports sustainable cacao farming (see A Conservation First For Bicknell’s Thrushes and the Dominican Republic). Beans grown on the preserve are used by two chocolatiers: Dandelion Chocolate and Hummingbird Chocolate.